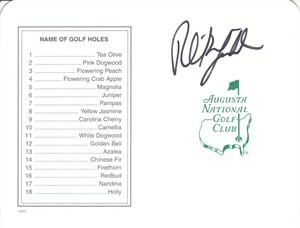 Augusta National Golf Club (home of The Masters) scorecard autographed by three-time green jacket winner Phil Mickelson. 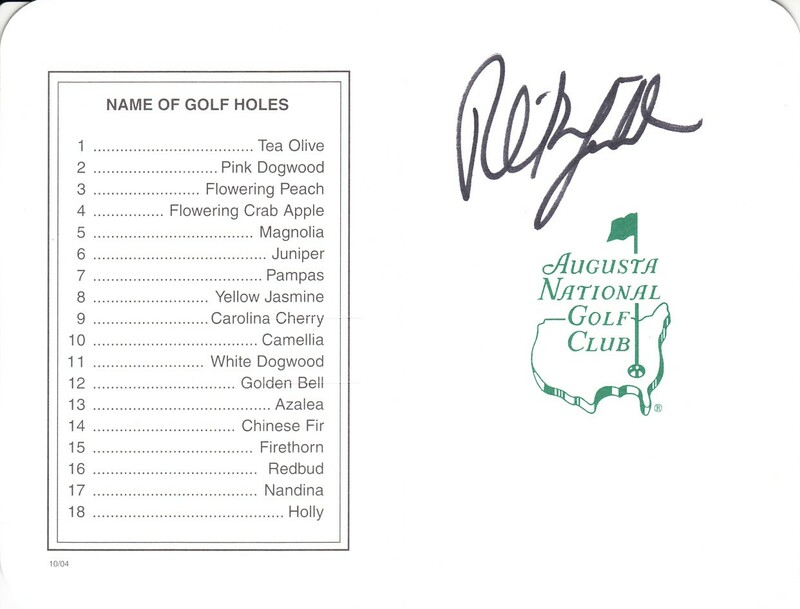 Obtained in person at Southern California PGA Tour event. With certificate of authenticity from AutographsForSale.com. ONLY A FEW LEFT.